Last month 21-year-old Kylie Jenner became Forbes’s youngest ever self-made billionaire. The debate over her status as “self-made” detracted from perhaps the more striking phenomenon: that the $1billion empire Jenner has created would not have been possible before the age of social media. A full-time fashion and make-up influencer, Thuy Le’s job was just as unimaginable only a few years ago. 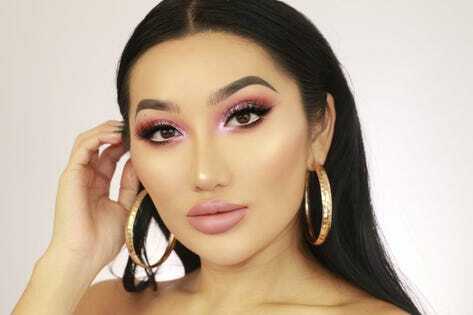 Her unique style and honesty has won her 1.4 million Instagram followers and has clocked up over 317,000 Subscribers on Youtube since 2016. In an age where anyone with a camera and the internet access can post on social media, competition to gain real attention as an influencer is stiff. Thuy believes people are drawn to her as she exposes her mistakes and vulnerabilities in the beauty world, rather than just an airbrushed final picture of herself. Inspired by my wife’s serious Instagram and YouTube makeup tutorial hobby, and her recommendation that Thuy has a lot to teach other wannabe social media stars – as well as any entrepreneur who wants to use entrepreneur effectively – I caught up with her to find out more about working in the brand new business of social media influencing. Philip Salter: At what point did you realise that your social media could become a business? Thuy Le: I started doing social media when I was working part-time at MAC alongside freelancing as a make-up artist. I loved helping people, but always from the background, so I didn’t imagine myself being on the other side of the camera. In the beginning I wasn’t even looking for the audience. But if you enjoy the content yourself, people are just going to gravitate towards that. Now I have fans around the world. It boggles my mind how many people you can reach. Philip: When did you realise that things were taking off? Thuy: At first, my goal was to hit 10,000 followers. It took so long, and I felt quite defeated. I felt that no one cared about what I did. But when I stopped comparing myself to other people, that’s when it started growing. And the thing about this job is that it just takes one video to take off, and the whole thing snowballs. That motivated me. I actually left MAC when I reached 40,000 followers, thinking I had made it. When I look back, I think I was so naive and young! Thuy: Both. I started with Instagram, and Instagram is still my biggest platform. I’ve watched YouTube for a long time, and before this I couldn’t believe that people made money from it. I didn’t realise how much hard work it would be. I was always such a shy person, and it was only when I realised I needed to push myself that I opened myself up to opportunities. Philip: Was there a time where your business wasn’t growing in the way you wanted it to? Thuy: It was so, so scary leaving MAC. I put all my eggs in one basket. It’s really overwhelming doing something by yourself. I knew I needed to be smart about money when I left my work. And I left with savings for a rainy day, and committed to coming out with more videos. When there were times I wasn’t seeing growth, I started being more open, to talk more on camera and to be more myself. People couldn’t relate when I was so closed off because I was trying to be so perfect. I actually learnt how to be more relatable by doing Snapchat. When I started off, I wanted to be so professional that I was cutting out all the bloopers. Now I leave the bloopers in – people like the bloopers! For anyone out there who is struggling to grow in this world, you need to open up and push yourself out of your comfort zone. It gets easier. Philip: How do you decide what direction to take your business in? Thuy: It’s actually really hard – I still can’t believe I’m in a position to even say ‘no’ to anything. At first, I didn’t want to miss out on anything so I felt like I was balancing a million things and not doing anything to my full potential. It’s important to reach out for help. I was a one-man band for a while, and I took on my boyfriend and now have a manager. My boyfriend helps me full-time now with editing, taking photos, all the behind the scenes things. I didn’t realise how hard it would be juggling Instagram with Youtube videos. It’s really important to take people inside your circle who really understand what you do and want you to do well. I even hired my best friend to help with emails. Philip: Is it a challenge working with friends and your boyfriend? Thuy: I love it. I never see anyone as competition, that doesn’t even cross my mind! I’ve always wanted my friends to do better and to succeed. I love to surround myself with people that want to progress in life. Philip: How do you decide what brands to endorse? Thuy: Whenever a brand comes in, I always decide for myself if I love the brands and if I’d use it for myself anyways. Most of the times, at least 80%, I’d say no. A lot of my stuff on my social media isn’t sponsored at all. I could make a lot more money if I accepted more collaborations, but I never want to look like a sell-out. And people can see that as well. If you collaborate with a brand that really works, your fans are really happy and supportive. You have to think long term. I turn down things that are financially rewarding to keep the brand in tact. When I collaborated with Lottie London, it was really important that it was well-priced, especially for my younger audience. Seeing people buy things with their hard earned money is just amazing. You want to be proud of what you put out there. Philip: Where do you see yourself in the future? Thuy: We always sit down and think about where I want to be in five years time. But the thing I’ve learnt in this industry is that I could get an email in an hour’s time that would change my whole life. So it’s quite hard to say where I see myself. What I do know about the future is that I always want to be helping other people, helping other bloggers build their social media, or to bring out something of my own line. Philip: What advice would you give to someone trying to make it in the vlogging world? Thuy: Try to film as much as you can in one sitting. You need to batch film it, and batch edit it, so you can enjoy the rest of your week as much as you can. Now I put on Netflix and have it on in the background when I edit – try to enjoy it! I come from a working family, nothing special, and didn’t know anything about camera equipment, filming, editing. If I can do it, anyone can.